We provide full customisation services on drawstring pouch printing according to your preferred size, printing and material. Check out our extensive range of drawstring bag supply and get your orders today. MOQ applies. What Are The Best Materials For Custom Drawstring Bag And Drawstring Pouch? Drawstring pouch printing have been around for ages. Its trademark design have stood the test of time in becoming one of the most popular bag for printing. The ingenious idea of having strings to tighten and to carry the pouch around makes it very functional and convenient. Keeping this in mind, TREA’s selection of drawstring pouches and drawstring bag were chosen to offer you the best customization option. Let us run through the different material attributes so you will know that you are making the right choice. One of the most common types of drawstring pouches are made out of cotton canvas material. This fabric material is strong, durable and recyclable. They are able to carry a huge amount of weight and can be used to hold just about anything. Cotton canvas drawstring pouch and drawstring bag are perfect for corporate gifts. Depending on the size of the pouch, you will be able to store daily essentials such as your keys and credit cards to water bottles and t shirts. Aesthetically, they are also very stylish and trendy. 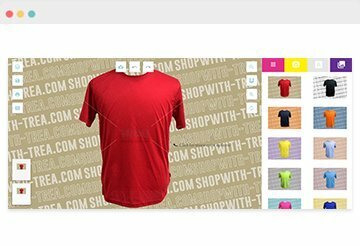 Cotton canvas material reacts well with all 3 printing methods that TREA provides – heat transfer, silk screen and direct to garment printing. Full surface printing and embroidery options are also available to custom canvas drawstring pouch. The non-woven fabric material is soft, lightweight, durable, water resistant and reusable. Non woven drawstring pouch and bags are eco friendly and looks to replace plastic bags in the near future. This material typically has a lifespan of 5 years. TREA offers you the option to customise the dimensions to best suit your preference. You can customise them to be either drawstring pouches or bags depending on your requirements. A drawstring pouch can not only can they carry significantly heavier weights, they are also less likely to be torn, punctured or broken. They are cheaper than cotton which makes it ideal for ordering in bulk for big events in Singapore. They can go as small as an earring pouch or as huge as a shoe or pillow bag. This makes it perfect as a corporate gift. To custom non woven pouch, silk screen printing and heat transfer printing are both suitable to meet your requirement. The velvet material spells premium no matter how you look at it. This material is naturally rich, thick, soft and durable. 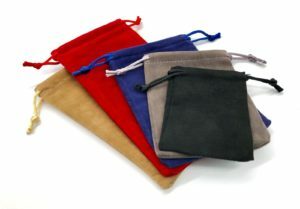 Velvet drawstring pouch is suitable for packaging fragile items and corporate gifts such as jewellery, glass and pens. They are often used when giving door gifts to important guests and look exquisite with custom printing. Such events could be weddings or major corporate meetings between high ranking representatives. Silkscreen printing and embossing are best print methods for velvet pouch customization. While heat transfer printing will change the texture and color of the velvet material, therefore it is not advisable. Sheer drawstring bag are light, cheap, translucent and textured. They are perfect as a packaging for customised corporate gifts or event gifts and can appeal to your guests. You can use them to store small gifts for wedding favors or as birthday parties gift bags. 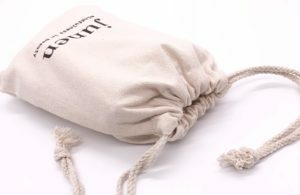 Corporate companies can package their products with this sheer drawstring pouch for free sample giveaway during grant opening. Scented items such as dried flowers and soup bar can also be packaged ideally into this sheer drawstring bag. A great feature of these sheer material is that it is translucent. Therefore it shows what is in the pouch. As such, sheer mesh drawstring pouch is used for more aesthetic purposes rather than its functionality. The company logo and branding come from your very own products can be seen through the mesh drawstring bag intentionally. Hence, allowing the main focus to be the product itself. The ultimate goal is to have the sheer drawstring pouch be a part of your gift through its vibrant colours and qualities. Therefore, there is no custom printing options available for this material. In summary, it is safe to say that custom drawstring pouch and customized drawstring bag are widely used in Singapore for almost any occasion. Choosing the right material and knowing its attributes is important to choosing the right option. Custom printed drawstring pouches are becoming a common sight these days in Singapore. If you are looking for drawstring bags in the form of backpacks, our drawstring backpack selection is also available for your viewing. Start customise your very own drawstring pouch with TREA today!